The Duchenne Research Fund is incredibly proud of Dr Dongsheng Duan – an important Scientific Advisory Board member of Solid GT, a gene therapy programme pioneered by Solid Biosciences and that we helped to fund. 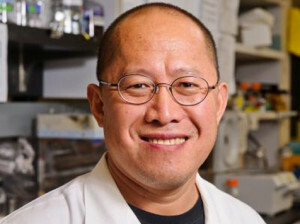 Dr Duan’s latest gene therapy work on muscular dystrophy dogs is set to significantly impact the Duchenne population. He also recently received a five-year, $3 million grant from the NIH (National Institutes of Health) to continue his research. The technology used to create the gene therapy has been licensed by Solid GT. Click below to read about history in the making. To read about the Solid GT gene therapy work we are funding, visit Our Projects page.